For order quantities more than 1, call for special pricing. 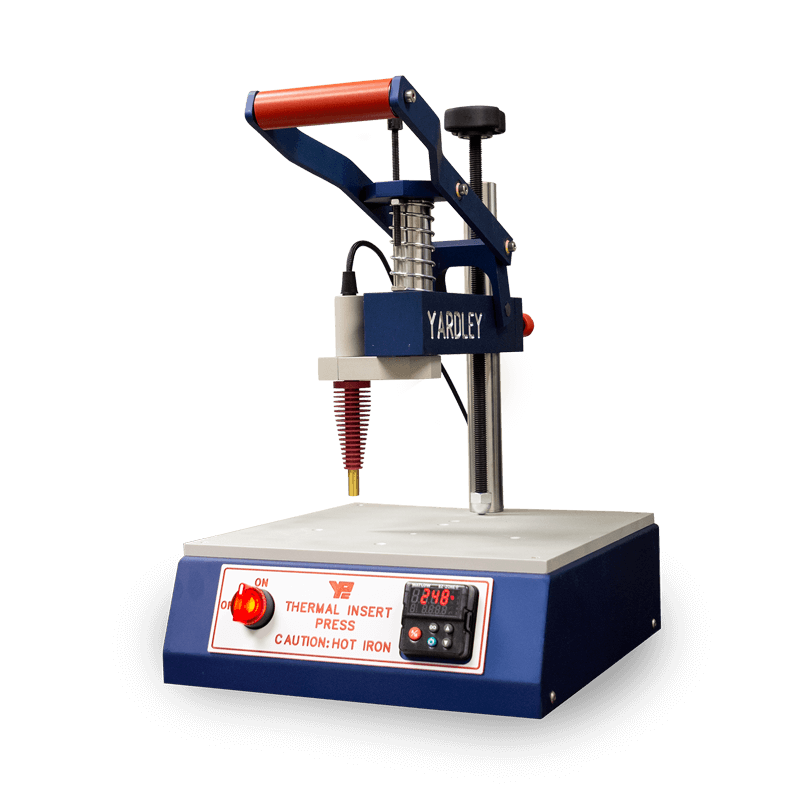 The Yardley Thermal Inserting Press provides a simple, quick and economical method for embedding metal inserts in thermoplastics. Customarily, these inserts are installed with expensive, complex ultrasonic equipment. Now, for low volume production, you can do the same job easily and inexpensively with a minimum investment and space requirement. The Thermal Inserting Press 2.0 comes with an all new digital display that allows for accurate temperature control. This control prevents damage to plastic while also providing a strong, permanent installation of inserts with high resistance to rotation and pull-out.